Drizzt Do’Urden is one of my favorite fictional characters. A drow/dark elf born in the subterranean city of Menzoberranzan. 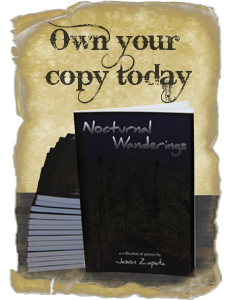 Drizzt’s adventures take place within the Forgotten Realms. These are settings made famous by Dungeons and Dragons. Sadly they don’t get half the recognition of Middle-earth or even Tamriel. This is a failing that Wizards of The Coast needs to correct. But that’s a post for another time. After all this is a casting call post about making a Drizzt movie – though Hollywood and the hero’s own fan base sometimes hinders such efforts. A legend of Drizzt movie seems to be a no-brainer. The New York Times Best Selling author, R. A. Salvatore pens his thrilling exploits. But where/when in the series would you begin? This is an argument amongst fans in of itself. 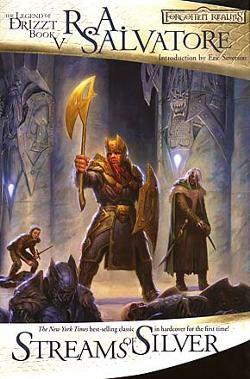 Drizzt’s adventures span several novels and he has outlived many of the characters introduced in earlier works. I’m tempted to say the Crystal shard, but Streams of Silver makes more sense. This is the first adventure to include all the major characters that shape Drizzt’s future. We are also introduced to the legendary drow’s archenemies, Artemis Entreri. This book does a wonderful job detailing Drizzt’s struggle to assimilate on the surface world. It’s packed with adventure and action sequences perfect for a movie adaptation. Peter Jackson is my choice for director. He has plenty of experience in helming epic fantasy films from his work on Lord of The Rings and The Hobbit. Jackson’s success with LOTR was not limited to giving us the Fellowship we always imagined. Audiences also had the pleasure of seeing the Shire, Rohan, and Minas Tirith brought to life as well. Drizzt fans would rejoice in seeing the drow ranger and Icewind Dale on the big screen. Since I’m certainly not the first one to attempt a casting call for a Legend of Drizzt movie – I wanted to give deserved kudos to Joygirl’s post on comic vine. I found most of her choices spot on and enjoyed reading her reasons for selecting certain actors. Here are my selections for a Streams of Silver movie. 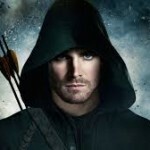 Stephen Amell as Artemis Entreri. This was one of Joygirl’s choices and I couldn’t deny how well it works. Stephen definitely has the physique to play the villainous assassin. He looks impressive as hell during his fight scenes on Arrow. Entreri appears in several of the novels and would be a reoccurring villain in additional adaptations. Drizzt’s rival and archenemies needs to be impressive. After all a hero is only as good as his villain. James Cosmo as Bruenor Battlehammer. This actor extrudes the cantankerous and tough as nails nature necessary to play a dwarf. Bruenor is a powerful warrior and possesses a commanding presence. Cosmo’s time spent playing Jeor Mormont on Game of Thrones would serve him well. The actor also shows a parental/mentor capacity that benefits the roles of Catti-brie and Wulfgar. Gina Carano as Cattie-brie. I fell in love with this actress after watching Haywire. She put on a performance of absolute badassery that won me over. Cattie-brie is no delicate flower and needs to be a believable heroine. Gina Carano is a mixed martial artist and a rising action star. Her role is an important one being she’s the only female in Drizzt’s group. Gina has the credibility and appearance to make a great Cattie-brie. Liam Hemsworth as Wulfgar. This is too ironic to pass up. His brother Chris plays the asgardian hero, Thor. Both characters wield enchanted hammers which return to them after being thrown. Wulfgar doesn’t require much in the way of dialogue, but he must project a sincerity and brute force that’s intrinsic to the character. And now for the casting choice that causes Hollywood executives to wring their callous less hands in impotent worry. The movie industry still struggles to produce fantasy films with minorities in leading roles. Recent years have seem some progress, but nothing on the scale of the Blade Trilogy. And then there’s a significant portion of the Drizzt fan base that fails to understand the narrative value of his character. 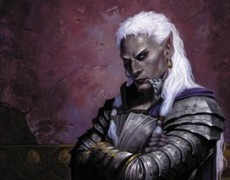 Drizzt is an outcast because of his appearance and demeanor. I cringe ever time someone names a white actor for the role. While Viggo Mortensen and Luke Goss are great actors – Drizzt is an ebony skinned hero. He should be played by a black actor. Michael Early as Drizzt Do’Urden. He has the acting chops and sensitivity to play Drizzt. 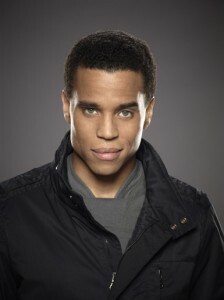 I have enjoyed watching his performances in Almost Human. I haven’t seen him play a leading role in any swashbuckling or fantasy films. Getting someone who can understand Drizzt’s motivations is more essential anyway. A casting choice like this does much to honor the character’s premise. This is also an opportunity to attract a more diverse audience. The fantasy genre has tried to be more inclusive, but a gesture like this would go a long way. Feel free to leave a comment on my fan page to let me know what you think of my selections. And of course feel free to leave your own ideas as well.